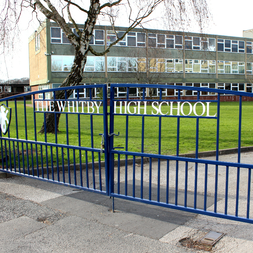 At The Whitby High School we recognise not only the importance of allowing students to flourish academically but also spiritually, morally, socially and culturally, so they are fully prepared for life in British society and for their roles as citizens, able to make the strongest possible contribution to the common good of all. The government set out its definition of British values in the 2011 Prevent Strategy and considered them to be democracy, rule of law, individual liberty, mutual respect and tolerance of those of different faiths and beliefs. The examples that follow are an indication of some of the many ways we seek to embed British values at The Whitby High School. The Whitby High School promotes British values through having a School Council that operates through all year groups and through our House system. Through Citizenship in the curriculum, students are encouraged to participate in discussion to develop both listening and speaking skills as well as the ability to defend an argument and to accept a wide variety of opinions. Teamwork and collaboration is encouraged and students work together on activities as a standard approach to learning. The principle of democracy is consistently reinforced, with the democratic process being employed for important decisions within the school community, for instance, elections being held for Head Boy and Girl, school council representatives, and the appointment of staff. The principle of democracy is explored in History and Religious Studies as well as in tutor time and assemblies. 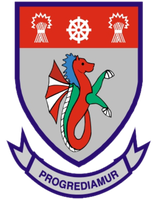 The school insists on the highest standards in all matters including appearance, conduct, and behaviour. Students comply with the rules and regulations of the school, which in itself reflects a strong adherence to the Rule of Law. Students are taught the values and reasons behind the laws that govern and protect us, the responsibilities this involves and the consequences when laws are broken. The importance of laws, whether they be the rules that govern the class, the school, or the country, are consistently reinforced throughout regular school days, as well as when dealing with behaviour and through school assemblies. Students are taught the values and reasons behind laws that govern and protect us, the responsibilities that this involves and the consequences when laws are broken. The school has an inclusive philosophy in which tolerance and acceptance are key. Students are actively encouraged to make independent choices knowing that they are in a safe, secure and supportive environment. As a school, we educate and provide boundaries for students to make choices safely through the provision of an empowering education. We encourage students to see themselves as unique individuals able to make unique contributions to the community. Students are encouraged to know, understand and exercise their rights and responsibilities and receive advice about how to exercise them safely. This also applies to the wide range of extra-curricular activities to which students have access. Participation in extra-curricular clubs and opportunities for all students in such things as sport, music, Duke of Edinburgh’s Award enables students to develop their self-knowledge, self-esteem and confidence. Effective risk assessments are in place to safeguard and promote students’ welfare. These provide additional opportunities for the pursuit of individual interests and we believe that the provision of these activities outside the classroom greatly enhance the school experience and the development of “the whole person” and encourage the pursuit of personal excellence along with commitment to team work where appropriate. Through our PSHCE curriculum students are encouraged to know, understand and exercise their rights, responsibilities and personal freedoms and receive advice about how to exercise these safely. Respect is at the core of our school ethos and is modelled by students and staff alike. The school promotes respect for others and this is reiterated through our classroom and learning environments. In line with our commitment to democracy, students at The Whitby High School are always able to voice their opinions and we foster an environment where students are safe to disagree with each other. This is achieved through equipping students with the ability to understand their place in a culturally diverse society and by giving them opportunities to experience such diversity within the school community. Through the Erasmus + exchange programme, students gain valuable experience of other cultures and languages (Germany, Italy, Spain, Netherlands and Turkey). There are also exchanges visits to Reutlingen and Africa. Our Ethics and Philosophy curriculum provides a broad and balanced education on a range of faiths, religions and cultures.